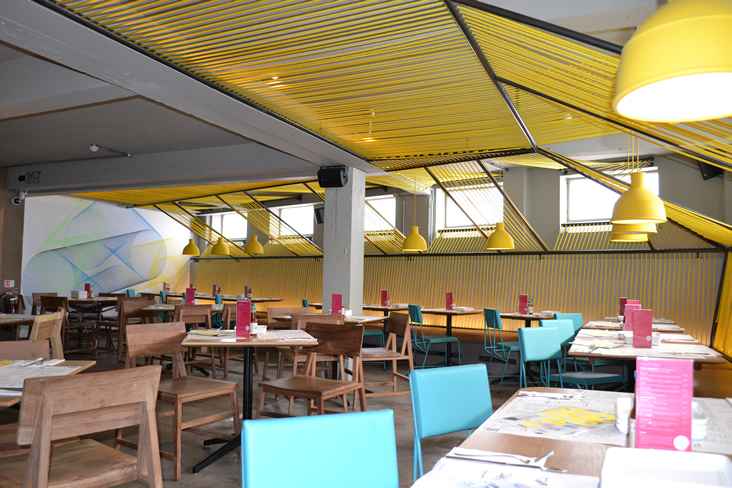 We recently completed this great laced rope interior at Wahaca restaurant in Waterloo. Based on initial concept input from Softroom Architects, we took over the detailed design after site visits and problem solving exercises to get around some tricky permanent structure. The overall effect is now one of a playful and vibrant space which is incredibly inviting. So good that we’re currently adding in more paneling, in extra colours..!